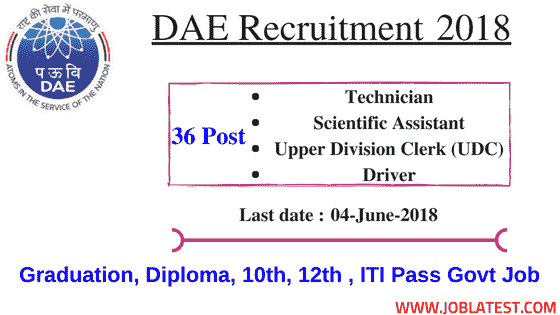 Department of Atomic Energy is presently having a vacancy for the 36 posts of Assistant, Upper Division Clerk, Scientific Assistant and other. This DAE Recruitment 2018 consists of latest government jobs for the Graduate, Diploma holders, ITI, 12th pass and 10th Pass with full information such as education qualification, age limit, pay scale, apply online and notification. Scientific Assistant / B [UR : 6 | OBC : 1 | SC : 02] ⇢ Diploma in particular trade with 60% marks. Technician / B [UR : 6 | OBC : 8] ⇢ SSC (10th Pass) or HSC (12th Pass) (with Science and Maths) with a minimum 60% marks and also have a National Trade Certificate after ITI course of minimum 1 year duration. Assistant Security Officer / A [UR : 05] ⇢ Any Bachelor Degree. Upper Division Clerk (UDC) [UR : 03 | OBC : 03] ⇢ Any Bachelor Degree with 50% marks. Driver (Ordinary Grade) [UR : 02]⇢ 10th Pass and have a valid driving licence. Age Limit (as on 04–June–2018) years → 18–30. Pay scale (Rupees) → It is changing from 19,900 to 35,400 as per the post. 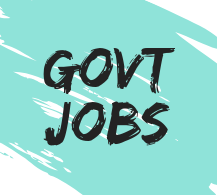 Application fees (Rupees) → SC / ST / Women / Pwd candidates are free to apply.